Bijoy Jain and Studio Mumbai’s MPavilion is built with unique and traditional Indian techniques—every notch in the bamboo and lashing of rope is born in craft practiced over eons. Skills handed-down over generations of traditional and handcrafted architecture, these are the handmade manifestations of Bijoy Jain’s architectural ethos and the practice of lore. Join us at the MPavilion site for this event. 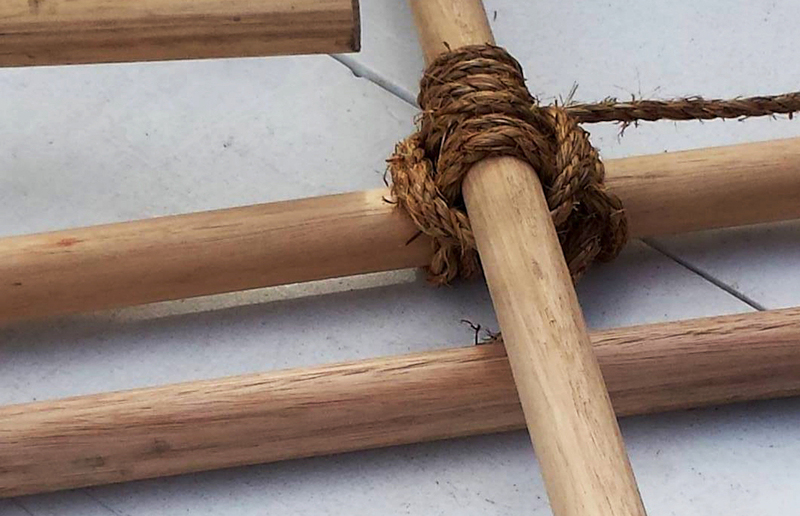 Along with a team of bamboo-and-rope masters, you can explore the techniques, learn the skills and experience the lore of MPavilion in real life for a special hands-on workshop: a lesson in lashing and tying rope and the intricacies of building bamboo structures. You will play an integral part in the construction of MPavilion! Bamboo-notch and rope-knot novices welcome! Remember: bring your closed-toe shoes and a little bit of muscle to this exclusive workshop. Spaces are limited for this MPavilion event, so reserve your spot!